Nintendo has announced that their long running customer loyalty program, Club Nintendo, will be discontinued in the coming months. 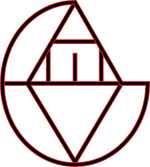 At the time of this announcement, they made mention of a successor to the program, but details were not available. Now, we are proud to bring you details exclusively given to us about the new program. We’ve reached out to our sibling news teams in other regions of the world, who confirm that their versions of the service, simply New Club Nintendo, is a free service which provides coins for all Nintendo game purchases, where coins can be converted to cash vouchers for the eShop, along with all the other perks of America’s New Club Nintendo XL, including online play, New Messaging, and an account system. However, for our foreign friends who want the choice to super size their gaming experience, New Club Nintendo XL is an optional premium service that not only doubles coins earned, but it also lets you spend those coins on all sorts of items, including physical soundtracks, posters, plushies, and various other knick-knacks. We can confirm that New Club Nintendo XL in the United Kingdom and Australia will come with a subscription to New Official Nintendo Magazine XL, while New Club Nintendo XL in Japan is expected to come with a subscription to New Nintendo Dream, with each issue being packaged with a Jumbo-sized promotional Pokémon trading card. 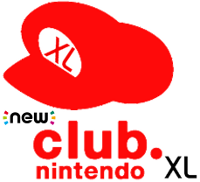 In addition, all regions with support for the regular New Club Nintendo will offer trial codes with no hoops to jump through, for either New Club Nintendo or New Club Nintendo XL members in these regions. Upon discovering these facts, we responded to Fils-Aime, asking if we could expect something similar to come to the States in the future, perhaps even New Nintendo Power XL.